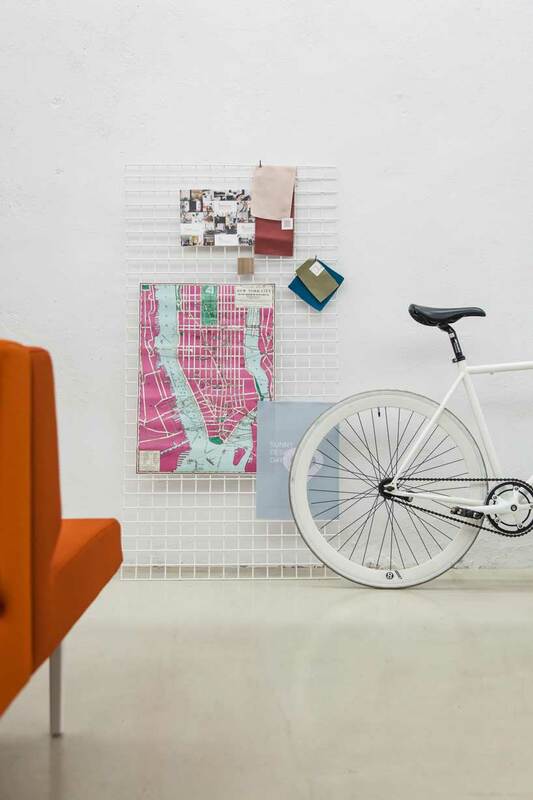 founded in 1968 by vicente berbegal pérez, ACTIU are specialists in furniture for workplaces and the public, and are renown for their environmentally-friendly manufacturing processes and sustainability. the brand is said to have innovation as an attribute and notes 10 principles to this: its tireless creator; support for the castalla, alicante region; permanent vision of the future; well-being of people at the centre of everything; supporting design; international projection; mindful of the environment; artisanal innovator; socially committed; and transmitter of passion. sometimes daily work becomes routine, pressure blocks our creativity which we wish to avoid so we need somewhere to escape to disconnect, relax, breathe deeply and help us restore the optimal level of performance. 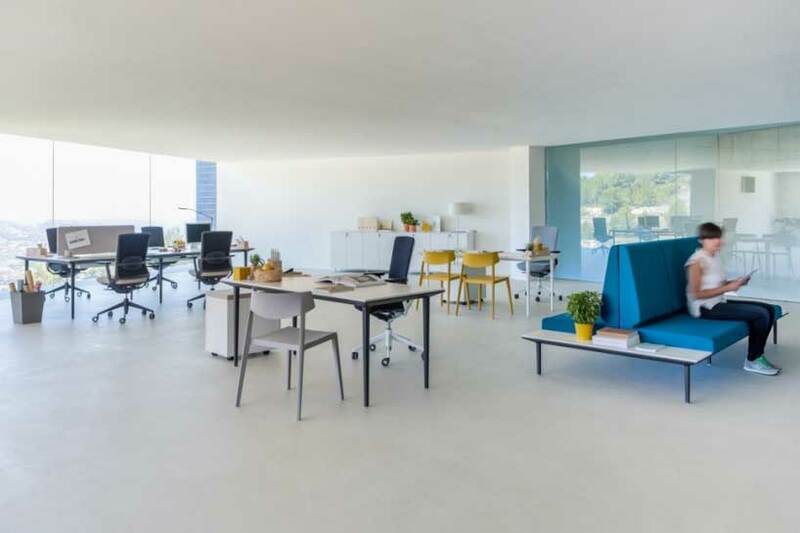 designed by ramos & bassols, ‘longo’ creates this dreamful environment allowing a single volume to form a comprehensive collection of furniture for all types of solutions in offices. 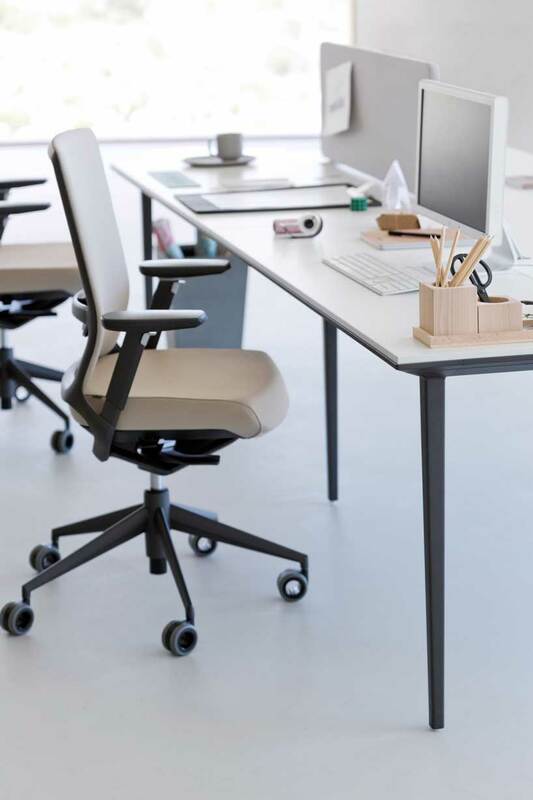 the industrial design studio ramos & bassols created ‘longo’ for actiu, a system capable of taking your work level to the desired point. 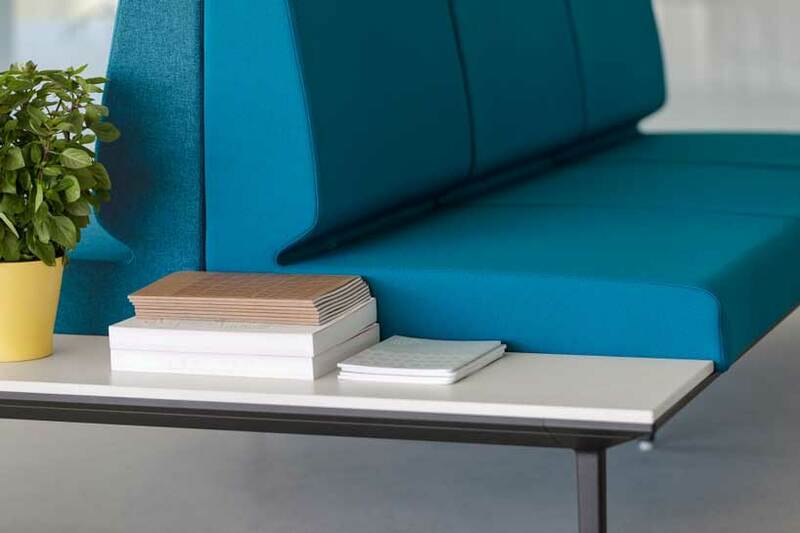 ‘longo’ fuses soft seating with the office using a platform from a robust structure but with a light aspect, which acts as a link to connect and branch numerous modules in a space. 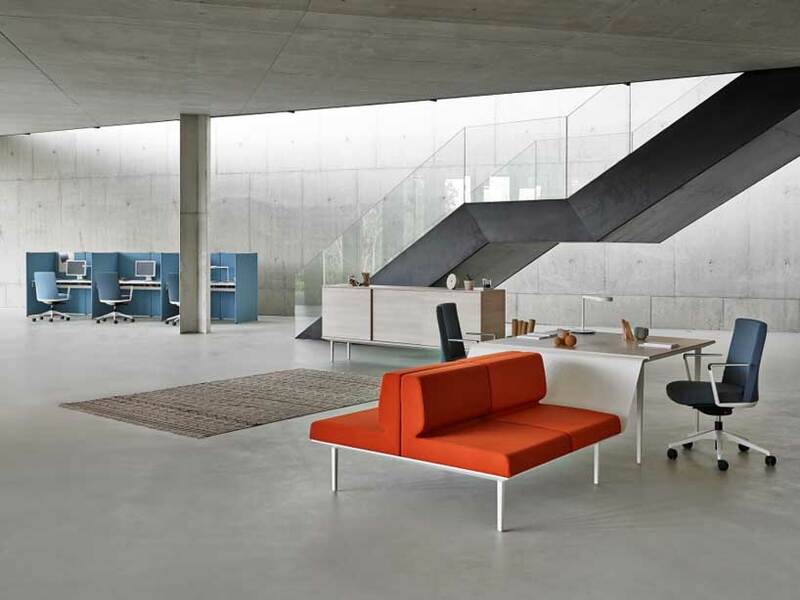 its modular system consists of sofas, operative and managerial desks, with storage solutions (cabinets, libraries), accessories and sound absorbing panels which incorporate decorative accessories and items that inspire a cheerful environment. the configuration of ‘longo’ stems from a solid extruded aluminium structure on which cast iron legs attach resulting in endless possibilities to achieve the desired environment, always maintaining a unitary visual concept. 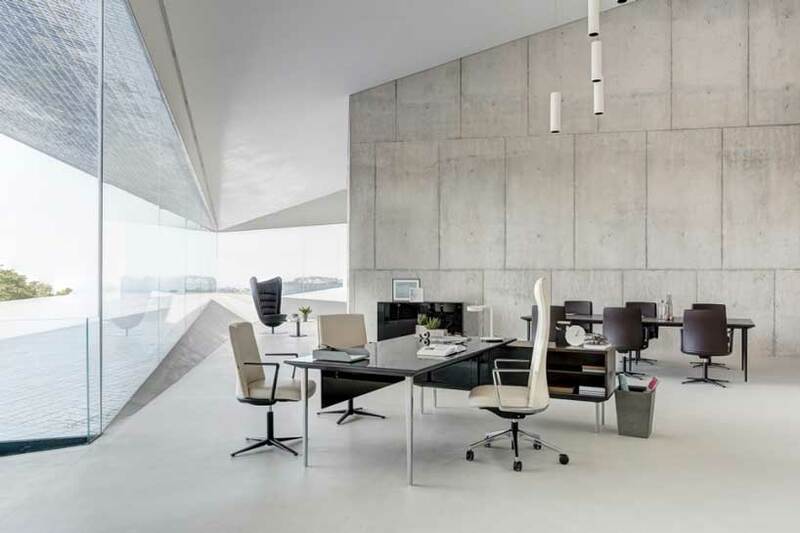 ‘longo’ enables more friendly, open and relaxed environments, where formal structures and dynamic spaces thrive to create a harmonious environment. 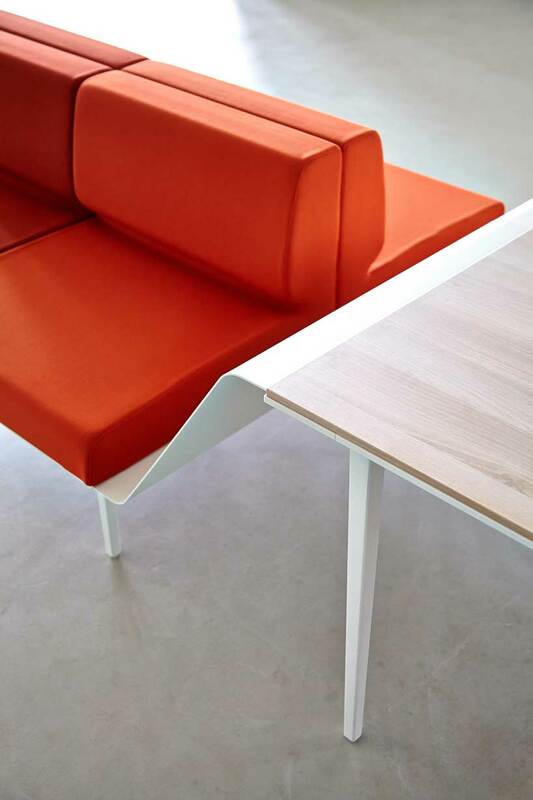 the versatility of ‘longo’, its ability to mold and be flexible, as well as its character to merge soft seating with the office have been key to award this program by actiu designed by ramos & bassols as the most outstanding at the neocon fair in chicago for waiting and contract spaces.